Are you a card thrower? Want to improve dramatically? Want to become a card thrower? The next evolution of the ultimate throwing card is here - introducing Banshees Advanced! This incredible deck has been re-engineered from the ground up for maximum speed, durability, precision, and impact. The Banshees Advanced not only achieves consistent and effortless card flight, it also produces a louder sonic scream like never before. 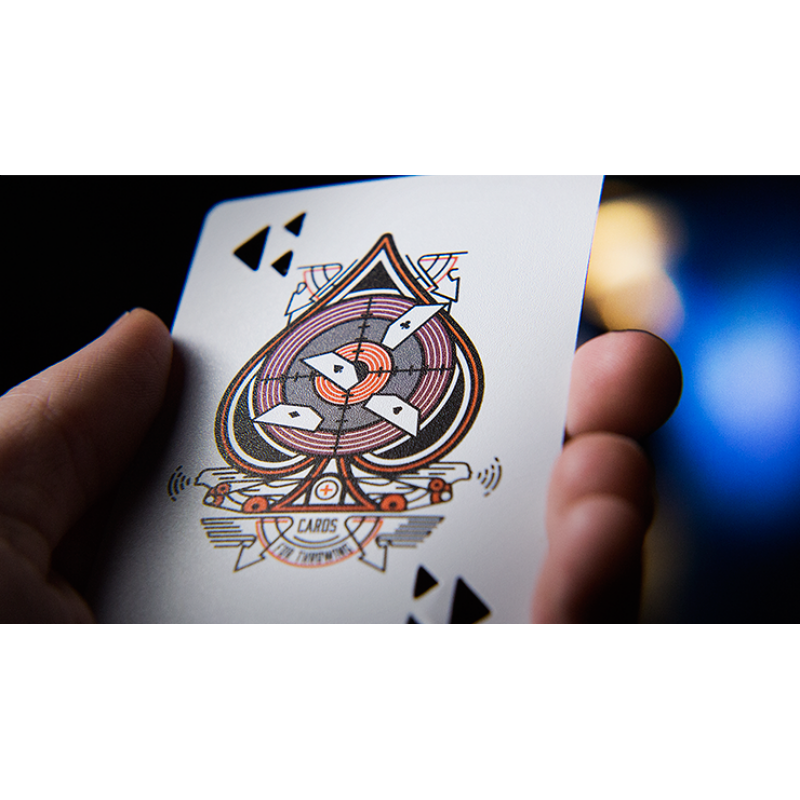 Precision crafted with heavier reinforced material, Banshees Advanced makes throwing a standard playing card obsolete. As any experienced card thrower knows, the moment a cardboard playing card bends, it loses its aerodynamic shape and, ultimately, its precision. Banshees Advanced retains its sleek, low-profile aerodynamic shape, even under the harshest of conditions. It never bends nor buckles, so you retain maximum precision and piercing power after heavy usage. As your Banshees Advanced slices through air, the newly designed card produces waves of sound stronger than ever before. To the layman, the sonic whistle gives the illusion of added intensity and velocity. To the experienced card thrower, it's just straight up cool. Maximum Speed. Maximum Precision. Maximum Impact. It's the cutting-edge of card throwing. Let your cards take flight like never before with Banshees Advanced. Want to learn to throw like the pros? Achieve optimal throwing power and preciseness by purchasing Velocity by Rick Smith Jr. No other video lets you in on this much card-throwing technique and performance information.